Coffee itself can be incredibly healthy, helping to boost energy and even promote longevity. But, the way we add to coffee often isn’t good for us. Commercial coffee creamers are often laden with sugar and are heavily processed. This is particularly bad if you’re having multiple cups of coffee each day. Plus, the calories add up fast. Thankfully, finding a healthy creamer substitute isn’t difficult. In this list, we’re covering all the bases. We’re highlighting a wide range of creamer alternatives, in all different styles. They’re all ways to add creaminess or flavor to your coffee. Check them out! Some can even be combined to make your coffee more special still. Many alternatives do rely on dairy. Some of these will be obvious. You might even use them already. But, there are some unusual ones in the mix too. The simplest alternative to a creamer is to just add milk to your coffee. You can choose full-fat or a different type of milk, based on your own preferences. Milk isn’t as sweet as most creamers and it doesn’t give you the same richness. But, most people will have some in the house, making this a very easy solution. Adding butter (or ghee) to coffee is an effective idea. Either ingredient makes the coffee taste so much better, giving it a richness that you don’t normally get. The fat also improves how you respond to the caffeine. Many people experience a more sustained energy boost and better concentration. For the best health outcomes, it’s worth focusing on grass-fed butter and ghee. Most people choose unsalted. But, salted butter adds an interesting twist to your coffee too. In most cases, these ingredients are added along with butter or ghee (which is why they're being included in this section). This creates a type of drink called Bulletproof coffee or keto coffee. The coffee is extremely popular and it is worth trying. The two oils have different advantages. Coconut oil is often less expensive and contains lauric acid (which may offer extra health benefits), along with other medium-chain triglycerides (MCTs). MCT oil offers a more concentrated source of MCTs. Some good brands even exclude lauric acid entirely. MCT oil is particularly relevant for people on a keto diet and helps to increase ketone levels. The coffee provides the same benefits to your energy and ability to focus as just adding butter. It’s also a great way to get extra healthy fats on a keto diet. The combination is also used in a variation of intermittent fasting, where you have one of these fat-laden coffees instead of breakfast each day. The main limitation is that you need some type of blender to make the coffee. Butter and MCT oil don’t mix well with coffee on their own. But, the process isn’t difficult. You can use MCT oil powder too, which is easier to blend. Bulletproof also has a powdered creamer that allows you to make Bulletproof coffee on the go. Other companies follow the same idea, like Fat Fuel Coffee. These are other common creamer options and they don’t need much introduction. They’re a great choice, as they do make your coffee creamy, without adding sweetness. Other types of cream work too, like heavy whipping cream (or double cream for people in the United Kingdom). Some people will consider these healthy, others won’t. They’re not the best choice if you’re trying to lower your calorie intake, or if you have many cups of coffee per day. But, fat isn’t inherently bad for you. Heavy cream is also popular for people following a keto diet, especially as it is low in carbs. Adding yogurt to coffee doesn’t sound like a great plan – but some people enjoy it. This can also be a way to increase your probiotic intake. If you choose Greek yogurt, you will be getting a decent amount of protein too. Related Article: Why are Probiotics Good for You? Okay, ice cream itself isn’t the healthiest alternative. But, it’s being included here for a reason. First of all, ice cream and coffee is a popular combination. It makes a drink called Affogato al Caffè or sometimes just affogato. The ice cream quickly melts in the hot liquid, making an amazing drink that cannot be beaten. To make this healthier, you simply need to switch up the ice cream that you use. For example, there are products like Halo Top, which are meant to be healthier alternatives. There are also countless ice cream recipes online, such as this Vanilla Bean Ice Cream from Sugar-Free Mom. You would need to experiment to find out which ones combine well with coffee, but some of them will. Or, of course, you might just rely on regular ice cream from time to time, as a treat. Avoiding dairy is one of the main reasons that people want creamer alternatives. Perhaps you’re vegan or lactose intolerant. Or, maybe you don’t like the concept of dairy. Whatever the reason, there are many dairy-free options to consider. Unsweetened almond milk is lower in calories than regular milk and coffee creamer, making it perfect for weight loss. The plant-based milk also adds an appealing almond flavor and helps make your coffee creamy. Almond milk is also keto-friendly and can be included on a paleo diet. The lower calorie content can even be good on a keto diet. After all, you shouldn’t be having multiple cups of coffee with butter and coconut oil every day. Related Article: Advantages of Almond Milk – Who Benefits and Why? This is another plant-based milk. It’s a good choice if you’re allergic to nuts, or if you love the flavor of coconut. The milk can be included on keto, paleo and vegan diets, making it very versatile. You can also use coconut milk to create whipped coconut cream. The site Oh She Glows has a great set of instructions for making the cream. There are hardly any ingredients and the cream is fast to make. It’s great scooped on top of a steaming mug of coffee. Cashew milk is a less common choice, but it is a good addition to coffee. Some people will prefer this, especially as coconut and almond milk have distinctive flavors. There are other types of milk alternatives too, like rice milk or hemp milk. The general idea is the same. You can basically use anything as the same texture as milk in your coffee. Soy milk is a more controversial plant-based option. Many people feel that it offers health benefits (such as in this article from Cure Joy). But, other authors make the opposite claim (like in this article from Empowered Sustenance). If you’re comfortable with soy milk, then this is another option to add in your coffee. If not, there are plenty of others to choose from. People that do drink soy milk, sometimes say it is the best plant-based option for coffee. It does tend to make your coffee creamy, without changing the taste. In contrast, options like coconut milk or almond milk have a noticeable flavor impact. Soy milk powder is basically just dehydrated soy milk. It’s significant because the powder is shelf-stable. As such, it’s much more practical, especially for anyone who is traveling. Users often say that it works well as a creamer and that it is inexpensive. Many people enjoy these milk alternatives as creamers, with or without an additional sweetener. But, you’re not going to get the same rich texture and flavor profile that creamer offers. Plus, the milk alternatives will sometimes separate in the hot coffee, which isn’t very appealing. If you’re specifically after the taste and texture that creamer offers, you’ll have to try something more complex or unusual, like the examples we’re covering next. This is a less common idea, but it works surprisingly well. The yolks blend well with coffee, creating a very smooth drink. They’re also a powerful source of nutrients, making the drink so much better for you. You can also add egg whites or whole eggs into your coffee. Whichever you choose, it’s best to blend the coffee afterward (although, some people don’t). Even if the approach sounds odd to you, it’s worth trying once. After all, some food combinations sound horrible but are actually amazing. Related Article: How Many Eggs a Day for Maximum Benefits? Exogenous ketones are a way to promote ketosis and help people to get back into ketosis. They also offer an energy boost, especially when people are fat-adapted. The ketones come in powder form, which makes them a natural addition to coffee. They can help make coffee a little creamier, but they may not be enough on their own. Instead, many people would include them along with other keto coffee ingredients, like butter and coconut oil. Here’s one for all the chocolate fans. Cocoa butter is edible and you’ll even find it in fat bomb recipes. This is a great way to add creaminess to your coffee, along with a chocolaty flavor. This is another popular addition to coffee. It doesn’t have much impact on flavor. But, the powder does make your drink creamer and contains some protein. Collagen powder is also included in some keto coffee recipes, mostly for the health benefits that it offers. 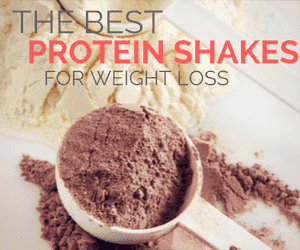 The first advantage of protein powder is simply that you’re getting extra protein. This can make your coffee much more filling. That’s particularly relevant if you’re having it between meals. Mixing the powder with coffee can seem a little difficult. But, the video below should help. It’s easier if you can mix the powder with something cold first, like milk (or a plant-based milk). Related Article: Should You Put Protein Powder in Coffee? There are also various commercial products specifically marketed as dairy-free creamers. They count as creamer alternatives because traditional creamer is normally made with milk. For example, the brand So Delicious has various coconut milk and almond milk creamers in different flavors. Ripple has allergen and dairy-free half & half, which tends to be popular. The site Go Dairy Free has a large list of other options that you can consider. But, it’s important to check the ingredients label. You want products that are low in additives and don’t contain much sugar. Otherwise, you’re not getting many advantages. One other angle is to create your own creamer. Coffee creamer recipes are normally designed to mimic the mouthfeel of regular creamers. You’ll often be able to make the creamer up and simply use it as needed. There are many recipes out there. But, we’re going to include some of our favorites. They’re a good place to start and they can give you an idea of what to expect. Most of these can be made with non-dairy milk too. Coffee creamer isn’t just about creaminess. It’s also a way to make coffee taste better. That’s why so many products are flavored. The ingredients in this section are alternative ways to flavor your coffee. Many can be used in addition to the substitutes we’ve already covered. Or, you might simply add them to black coffee, to provide a more nuanced flavor. Cinnamon is one of the popular spices for making coffee taste better. It’s also associated with many health benefits – and coffee is a good way to add it to your diet. You already know that pumpkin spice lattes are amazing. But, did you know that you can add in pumpkin spice, or pumpkin, into regular coffee too? Pumpkin spice will give it a flavor kick, while pumpkin puree will alter the texture too. If you use an alternative to creamer (like almond milk) as well, you can end up with a very tasty drink. Actually, most spices will work well in coffee. Turmeric is one example, nutmeg is another. The site Genius Kitchen even has a recipe that involves six different spices. You can experiment with spices and creamer alternatives, until you find a combination that you like. Plus, many spices offer health benefits. Coffee is an easy way to consume them regularly. The simplest approach is to mix the spices in with the coffee once it is made. But, for filter coffee, you can mix the spices in with the grounds. This helps to infuse the flavors of the spice into your coffee and simply works better all around. Cocoa powder contains the same beneficial compounds as dark chocolate and has advantages, like improving cognition. It’s also a healthy way to add a chocolate flavor to your coffee. However, it’s important to choose the cocoa wisely. You want a product that doesn’t contain extra sugar or other additives. This may be marketed as cacao or cacao powder, rather than cocoa. The company CocoaVia offers one related product that contains extra flavanols and may be more beneficial. These can be another way to add flavor. Many keto dieters rely on Torani Sugar-Free Syrup, which comes in vanilla, caramel, hazelnut and chocolate. They are more processed than other items on this list, but they’ll still be suitable in some situations. Vanilla extract is an especially common choice, but you can also turn to other types of extracts, such as hazelnut extract. Like the syrups, extracts change the taste of your drink. They won’t really alter the texture, but there are plenty of other options for doing that. If you want some sweetness in your coffee, raw honey is a great way to go. It’s healthier than refined sugar and has some extra benefits. There are many different honey varieties to choose from, each with their own flavor profiles. You can experiment with them until you find one that tastes perfect with your coffee. There are plenty of natural sweeteners to choose from, such as stevia (avoid the artificial ones!). These can be a simple way to add extra sweetness, without relying on sugar. This also helps offset some of the natural bitterness of coffee. Adding extra ingredients isn’t the only way to make coffee taste better. Sometimes, just changing the way that you make it can have dramatic effects too. As the name suggests, cold brewing is an alternative way to make coffee. Cold brew looks like iced coffee, but the finished drink is very different. The cold brewing approach leads to different chemical reactions than regular methods of brewing. As a result, cold brew is less bitter than a cup of hot coffee. Many people find that they enjoy cold brew with nothing added – even if they can’t stand hot black coffee. Related Article: Cold Brew Coffee vs Hot Brew: Which is Healthier? The coffee you buy will also affect your outcomes. For example, instant coffee has some health benefits but it’s never going to taste as good as high-quality organic coffee. If you make the effort and buy good coffee to begin with, you may find that you need fewer additions to make it taste good. That’s just as powerful as finding a decent creamer alternative. In a similar way, the equipment you use can affect the way your coffee tastes. Make good choices here and your drink will be much better. For example, coffee made with an espresso machine often tastes better than French press coffee. You don’t need to go that far, of course. But, the effect of equipment is larger than you might expect. There is no single best way to drink your coffee but there are plenty of different approaches to choose from. You might find that you vary what you do over time, based on your mood and what you feel like. For example, you might have a keto coffee first thing in the morning but use almond milk in all the rest of your coffees that day. Or, you might make seasonal changes, like drinking cold brew coffee in the summer and hot coffee with cinnamon in the winter. So, what’s your favorite alternative to creamer? Is it one of the examples that we’ve listed in this article, or something different entirely? Let us know in the comments section below.